Several days ago, our customers from Mali ordered a BTF-1-3 manual egg tray making machine from Beston Machinery. 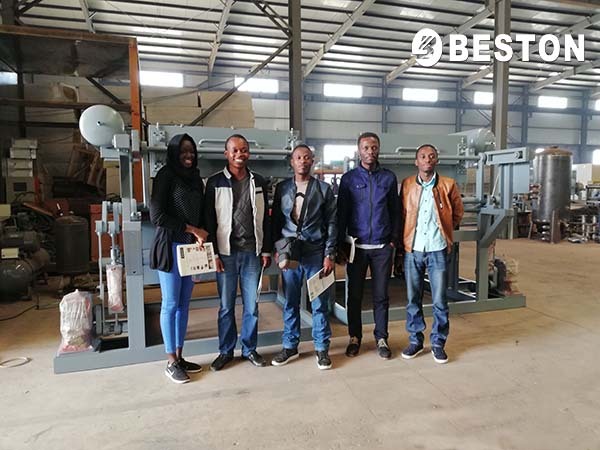 In April, they came to Beston Factory and checked the egg tray production line there. The sample egg tray making machine in our factory has been in operation for more than 8 years. Our customers were well satisfied that all the sections, from pulp making system, egg tray molding machine to the drying line, are still under normal running. 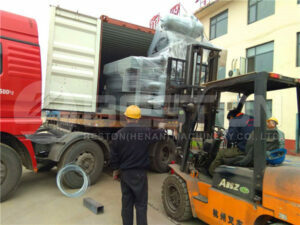 Finally, they decided to purchase our BTF-1-3 manual egg tray making machine. Why Is BTF-1-3 Manual Egg Tray Making Machine Popular Among Investors? BTF-1-3 manual egg tray making machine is the smallest one among Beston egg tray machines for sale. It has only one-side, namely, 3 molding dies. The machine itself is the cheapest one among all models. In addition, the overall dimension of BTF-1-3 type is 2.3 * 1.7 * 1.6 m. That is to say, it requires small space for the egg tray machinery. Besides, only 3-5 workers can handle the entire egg tray manufacturing process. All in all, with the feature of low investment costs, BTF-1-3 manual egg tray making machine is very suitable for homemade egg tray manufacturers or small-scale investors. On the one hand, Beston Machinery has mature technology and rich experience in manufacturing egg tray machines. BTF-1-3 manual egg tray making machine is one of our brand goods. It adopts the most advanced technology and keeps updating. On the other hand, the pulp molding machine is fully automatic. 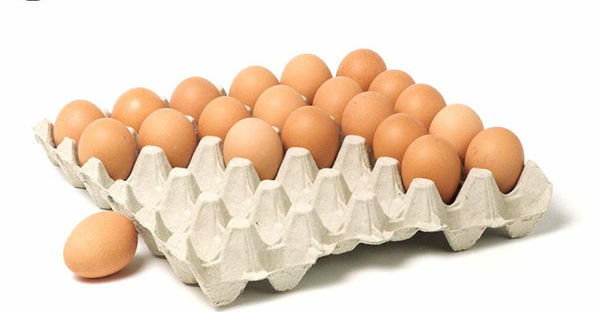 While the manual type just refers to drying and packing the egg trays manually. Drying naturally can largely save your costs. What workers need to do during the entire production process is simple and safe. Except that, we also provide customers with an integrated pulping system to save space and improve the working efficiency. 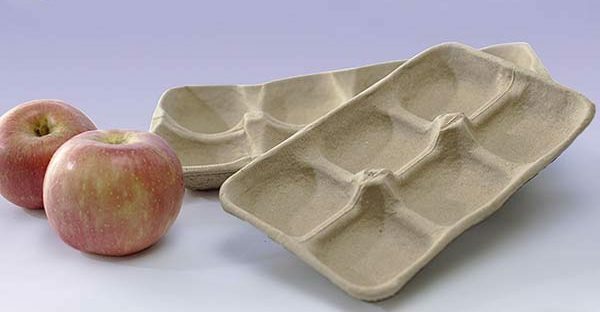 With the wide application of paper egg trays, you will never worry about the market. Moreover, Beston can supply you with a multifunctional pulp molding machine with different forming molds. It means that you can produce different pulp molded products with the same machine. Although BTF-1-3 manual egg tray making machine is the smallest one, it can produce about 1000 pieces of egg trays each hour. Furthermore, due to the exquisite design and durable material of our paper egg tray making machines, you will be content with the quality of egg trays. Thus, buying an egg tray machine from Beston Group will bring you impressive profits. Just contact us now!